The rise of geek culture across the world may make it seem like nerds everywhere are worshipping Star Wars, Doctor Who or Lord of the Rings but this story takes it that little bit further. 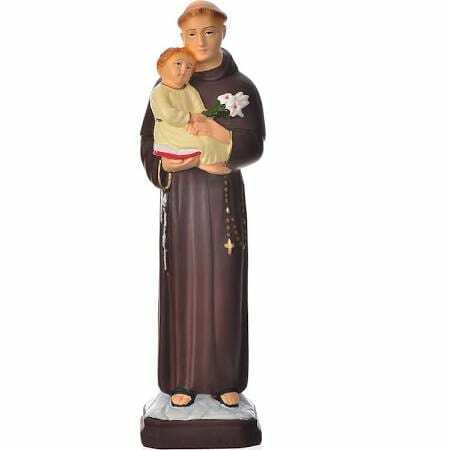 While visiting her elderly relative, Gabriela Brandão couldn’t help but notice the small figurine of Saint Anthony her beloved nana prayed to looked familiar. In fact it bore an uncanny resemblance to beloved actor, and all round terrifying guy, Hugo Weaving. Deciding to do a bit of research Gabriela scoured the web looking for the figure. And to her surprise she did mange to find the figure it just wasn’t what she thought it was The Mirror reports. That’s right it wasn’t St Anthony, it was in fact the Lord of Rivendell Elrond from Lord of the Rings. Gabriela found the whole thing pretty hilarious and posted it on Facebook. To be fair we can see the similarities and we’re pretty confident that were St Anthony and Elf he’d look a fair bit like Elrond. Thankfully the great-gran isn’t praying to Elrond anymore which considering his role in saving man from the tyranny of Sauron seems a bit harsh.